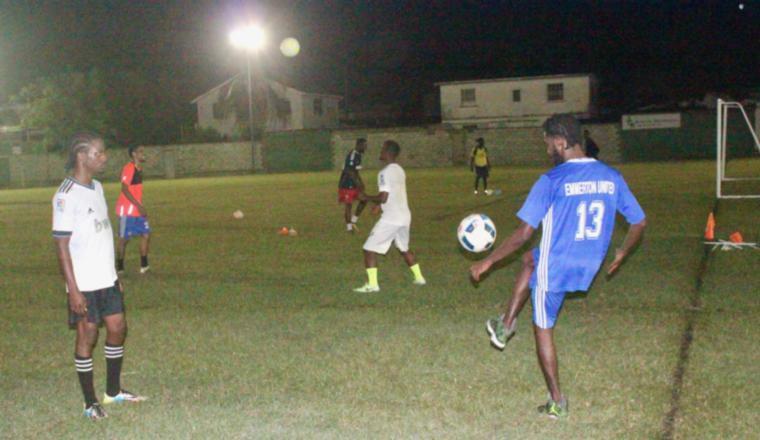 With the Barbados Football Association providing a solution for the National Sports Council's lighting issues resolved and the Barbados Premier League and Division 1 competitions already underway, the stage is set for the lower leagues to step into the limelight. Set to kick up some dust of their own, both competitions have kicked off over the past few days and are set to get rather heated as teams seek promotions to the next level. Division 2, which got started at venues around the island on Tuesday night, is expected to be exciting as last year's runners-up, Checker Hall FC, Kick Start FC and Pinelands FC will be looking to make the cut this time around after finishing behind Whitehall Titans, Central League Spartans and Ivy Rovers in their respective zones. With the latter three now plying their trade in Division 1, last year's second-placed sides will be hoping to capitaliseon the extra real-estate. Also hoping to continue their upward journey are Chickmont Football Club, Barbados Fire Service Sports Club and Emmerton United, who were all bumped up from Division 3 last year. The bottom league kicked of with a few games on Friday but will pick back up this week with action across all three zones. Eastern United, who finished behind Chickmont in Zone 1 last season, will have their eyes on promotion this year but will have to fight off the likes of Diamondshire FC, Mavericks Sports Club, FC Mega Ballers, Cosmos and new club, Velocity FC.